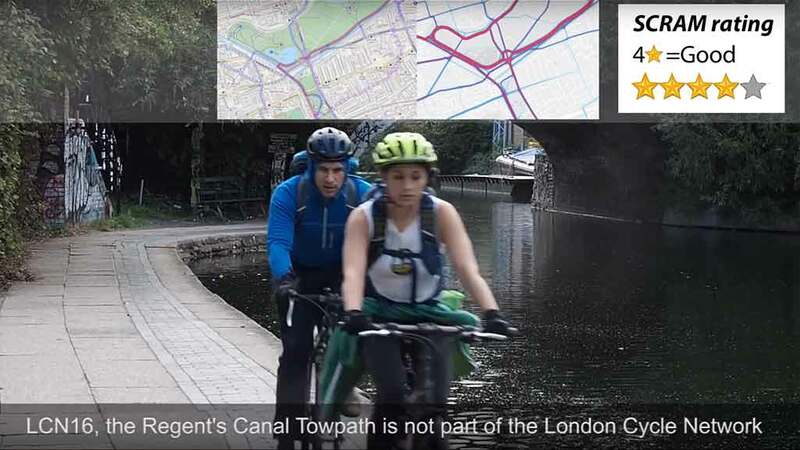 The London Cycle Network LCN is a prime example of tokenism (‘the practice of making only a perfunctory or symbolic effort to be inclusive to members of minority groups’). It was an advertising stunt and a fraud. When mapped, it created the appearance of a cycle network. The reality was a plague of signposts on backstreets that got a few cyclists out of the way of motorists. In case anyone does not know it, the examples in this video show that cyclists prefer main streets to back streets. This is because bicycles are human-powered and their owners want short A-to-B routes. They prefer fewer junctions to the more junctions found on back streets. Junctions are where most cycle accidents happen. The extraordinary thing about the LCN is that it still exists. When a bridge fails it disappears. The LCN lives on – and for every mile ridden London cyclists are three times more likely to have an accident than cyclists in Copenhagen or Amsterdam. There would be emergency debates in the House of Commons if similar numbers of people died from other instances of dreadful design or pitiful planning.